The average home monitoring system can cost you hundreds of dollars just for the technology and installation alone. For those who are looking for monitoring by a center, there are added monthly costs involved with that too. In many cases, paying a higher price does not mean that you are getting a better quality product. As a result, rather than choose a product based on the sticker price, it is time to decide upon a product based on its features, advantages, and security capabilities. 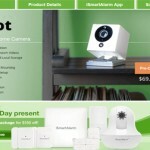 One particular security product that is known for its affordability and quality features is Blink Home Security. Let’s start by taking a look at what makes Blink Home Security top our list as a worthwhile security system that warrants a review. 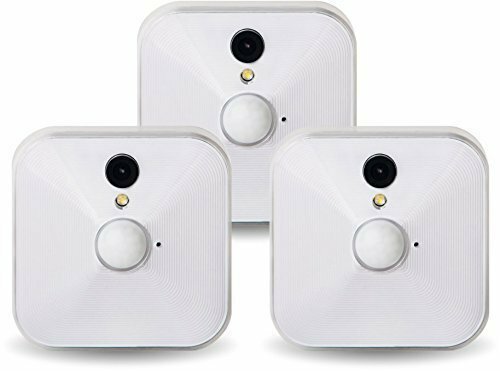 Blink Home Security is a wireless smart HD home security system that provides users with monitoring and alerts. The system operates solely on batteries and comes in a number of packages to fulfill your home monitoring needs. As many publications have rightly pointed out, Blink Home Security is revolutionizing the way that people monitor their homes. This security system has topped our list as one of the most innovative and convenient home security tools. Operating through the use of nifty little camera devices, this wireless HD video security system helps you monitor your home without complicated and sometimes over the top features. The simplicity and sleek silicon design is a welcome and refreshing feature provided in this home security system. As you browse through the advantages and disadvantages, you will find that the system truly is one of the simplest that you will find on the market. As a result, you should make sure it is what you are looking for in a system. Essentially, Blink requires that you rely upon regular video monitoring to keep abreast of your home security. In addition, another worthwhile feature of this security system is that you can make a network of video monitoring devices. The system is highly apt at taking high quality images both during the day and at night. You also do not need to worry about the system’s batteries running out – most attest that the batteries last about a year. Most importantly, you do not need to sign a contract to use the system and there are no wires involved. With these features, it really does not get any more convenient. In terms of the disadvantages, users do need to come to terms with the fact that the system is relatively new. As a result, there are not many reviews or comments relating to the performance of the customer service team. At this point – the customer service is largely nonexistent. The package structure for Blink Home Security is extremely simple. 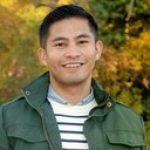 The type of package structure you choose ultimately depends upon the size of your space, how many monitoring tools you want to be a part of your network, and your budget. One Camera System: The one camera system includes one camera for the price of $99. 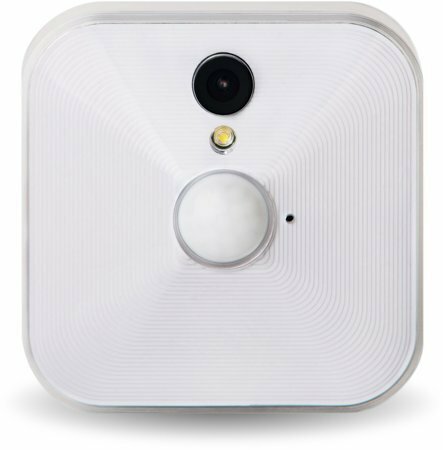 The camera cam be placed anywhere, it is battery powered and wire free, and the video starts recording upon motion detection. You can view live mode through the video monitoring application that you install on your mobile device of tablet. Two Camera System. The two camera system includes two cameras for the price of $149. This camera system and subsequent options also have the same features. The only difference is the number of cameras per package and the corresponding price. Three Camera System. The three camera system includes three cameras for the price of $199. Five Camera System. You thought there would be a four camera system – there isn’t. Instead you can get five cameras for the price of $299. One of the best features of this particular product is that there is no contract, obligations, or hidden fees involved. With any of these packages, you are in charge of your own home monitoring and you can use your cameras as you need to properly watch over your home. Blink Home Security truly stands out as a user friendly piece of technology – which is a sentiment reflected in what most customers have to say about the product. 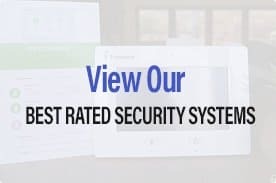 Below is an overview of both the good and the bad customer reviews for this security system. As you can tell, the quality and features that you get with this security system are well worth your while. On the other hand, many users do have issues with the lack of customer service, the lack of control over videos, and that there are not enough software updates. Therefore, if you are looking for a product that is more technologically savvy with additional capabilities and features, then you may want to look elsewhere. Most home security systems have that one feature that makes it special and stand out. When it comes to Blink home security, two of the most impressive features of this home security system is that first, it can go from sleep to recording in less than a second. With that, you are able to get the continuous and reliable home security footage that you need to monitor your home nearly at all times. When the camera is in sleep mode, the system uses zero battery power – which explains how the second unique benefit is even possible. The second unique benefit of this home security system is that the company claims that each Blink camera can sustain a full year of battery life. This means that you do not need to worry about fading batteries or changing the batteries on a regular basis throughout the year. Maintenance of the Blink security system is essentially nil. Overall, our experts and our customers have many great things to say about the Blink Home Security System. The product offers up impressive battery life, wireless technology for added convenience, high quality cameras with impressive tilt and zoom features, geo-fencing, and most importantly – an unbeatable price. Ultimately, Blink Home Security is for users who are looking for an affordable, user-friendly, and manageable home security system without too many complications and advanced features. It is for the user who is looking for simplicity in managing their home in the best way possible – good ole’ fashioned video monitoring. Affordable and User Friendly Home Security System. No Contract. A wireless security system which is very convenient and at an affordable price. Very simple and easy DIY set up. No contracts and monthly monitoring fees. 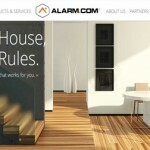 Alarm.com Review: 10 Features You Can't Afford NOT To Have In Your Home - #3 Is A Must Read!